Have you ever done a money saving challenge before? They are pretty fun. Don’t stress. Don’t get me started on the bills. 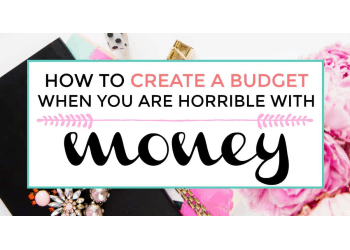 When you hear others say it doesn’t matter how much you make to be able to save money, you probably feel pretty cruddy. How much you make can definitely effect how much you are able to save. 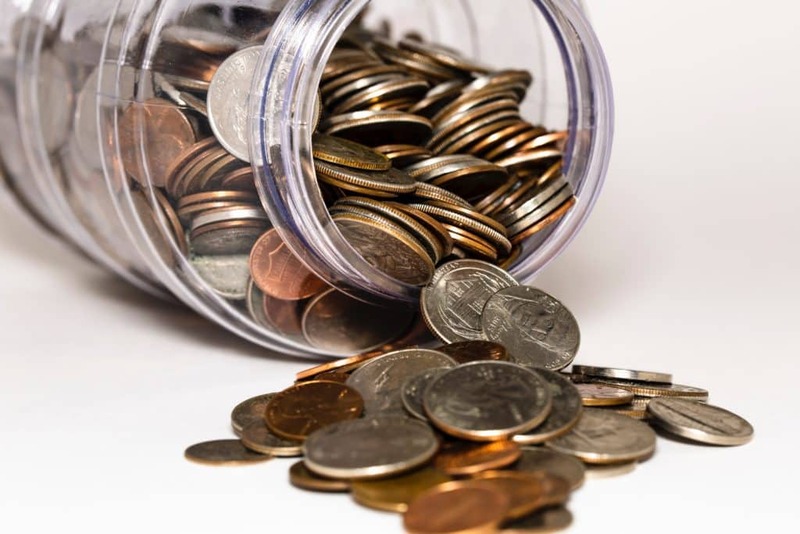 If you are willing to get a little more scrappy, find some unnecessary costs you can ditch and financial tools to help you out, you can easily reach your savings goals. Then add a side hustle on to that, you’re golden. Choose a side hustle that won’t drain the life out of you though. I am not asking for your soul here. I am just asking for 10 weeks of dedication and you get $1,000 out of it. Awesome, right? Trust me, you’re going to love it. 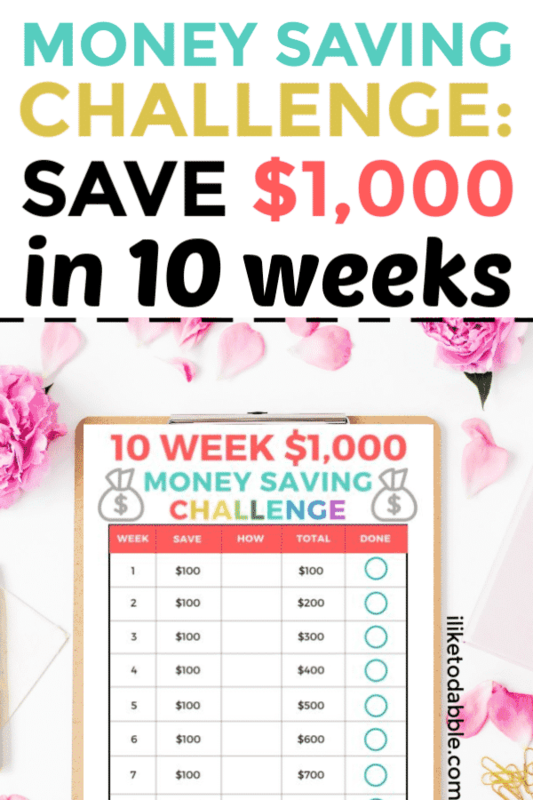 I created the 10 week money saving challenge to help others easily save $1,000 in a structured way. For this saving plan, all you have to do is save $100 a week. To complete the challenge, save $100 a week for 10 weeks. That’s $1,000! You might think that is a stretch but once you get started, trust me you will find so many creative ways to save that money (or hustle it). This type of organization and dedication you put into these 10 weeks will help plant the seeds for your future. 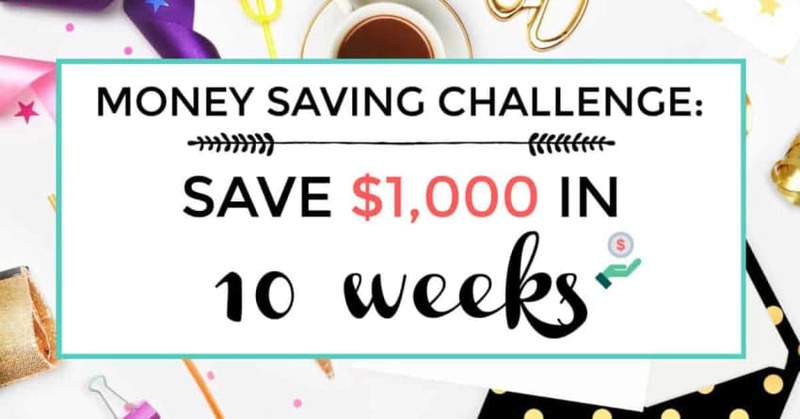 The saving challenge will not only help you find ways to save money on a consistent basis but also get your head in the right space to further your financial goals. According to Fortune, 1 in 6 millennials have $100,000 stashed away in savings accounts. I don’t know about you, but I, myself being a millennial, is definitely not that 1 in 6. I am the other 5. Just not quite there yet. That doesn’t make me a failure though! I don’t have $100,000 in savings. But I hope to get there sooner than later. We were able to save $30,000 last year and that wouldn’t have happened if I didn’t start setting savings goals like this. Sign up below for the free 10 Week Money Saving Challenge Tracker. Success! Now check your email to get your free Money Saving Challenge Tracker printable! How: Did you save it from your existing income and cut existing expenses or did you side hustle it and that is your extra income? State if it was saved or hustled. Done: Mark in the circle when you saved $100 for that week. When you mark that last circle with a ‘X’ on the last week of the challenge (or whatever you want to mark it with), you are done! Now, let’s get to how we are actually going to save or hustle $100 a week. You don’t need to spend money. There are tons of ways to cut costs and spend less every day. Once you cut spending, try to find ways to cut even more. Try to steer away from using credit cards as much as possible. If you can’t pay your credit card balance in full on the due date every month, you shouldn’t be using one. 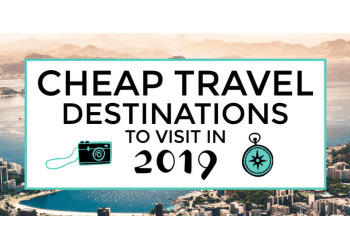 Use only cash during these 10 weeks if you can. Find subscriptions you don’t need and cancel them. Wait for 30 days before buying something you want. See a cute cardigan today? Wait for 30 days to see if you still think that you MUST have it. Try a “No Spend Week“. 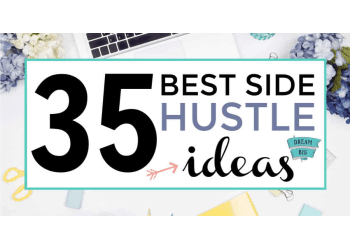 Join the Iliketodabble Save & Side Hustle Facebook Group. Create a budget and track your spending with Personal Capital. Lower your monthly bills with Trim (it’s free). Trim negotiated a savings amount of $17.40 a month on our AT&T bill. Meal plan for the week ahead and prep your meals ahead of time. Make all your coffee at home or for free at the office. Say no to happy hour or use the Dosh app where you can get cash back at tons of restaurants and bars. Read our review of the Dosh app here. Unplug most of what is plugged in at your house. Chances are you aren’t using them. Or get these power-saving timer outlets. Get cash back on your groceries and bonuses with Ibotta. You also get a free $10 bonus when you sign up. Sign up for Ebates for another $10, more cash back and savings bonuses. Look for cheaper insurance providers. I switched from Progressive to Geico last year for our car insurance and that saved us $150 a month. Another way that makes saving money so much easier is by automating. I especially love Digit for that. Digit automatically deposits money from your checking account into the Digit savings account created for you on their app. They do this by analyzing your spending habits and how much you currently have in the bank. Don’t worry, they are secure and will never overdraft. 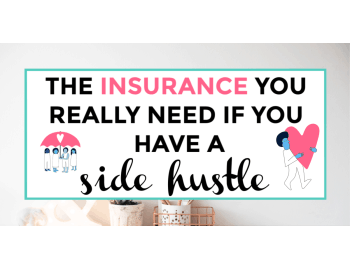 I am a sucker for side hustles! I mean, I created a whole blog about it (lol). Side hustles are the quickest hack to more money. If you need extra money, go get it. 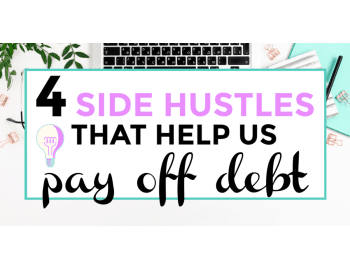 Side hustles an also be an amazing way for working more now so you can live financially independent later. Financial independence means you have enough wealth to live on without working. That is the future my wife and I strive for. But let’s not jump ahead of our selves. We first have to side hustle at least $100 a week, then we can go up from there! Rent out your car on Getaround. Get a part time job as a waitress. Deliver food from restaurants with DoorDash and get paid in your first week. Cut lawns or shovel snow. Start a side business like social media management and manage small business’s social media accounts. 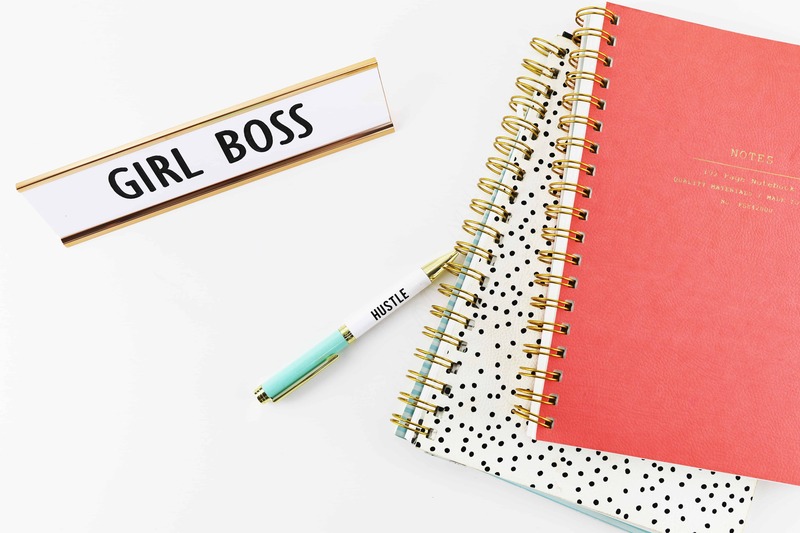 This is perfect for a remote side gig and you won’t have to leave your house! Teach online with Magic Ears. Another great remote side hustle. Host a part of your house out on Airbnb. Get paid for your internet usage with Nielsen. Participate in research studies. Pinecone Research is a legitimate survey company that you will actually find surveys on that you qualify for. I can speak from experience. Make money off of your used electronics on Gazelle and Decluttr. Sell other used stuff on Facebook Marketplace. Dog walk or pet sit for others on Rover. Sell your handmade items on Etsy. Play around on Swagbucks or InboxDollars and get paid for playing games, watching videos, filling out surveys, using other apps, opening emails, and more. Create a money mantra for what you want to manifest in your financial life. Your mantra should describe the personal vision you have for your finances and how you intend to get there. 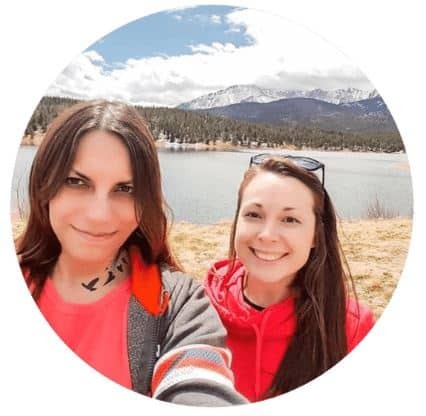 Something like “I am so happy and grateful now that I am a money saving ninja and I have been able to save and invest $100,000″. As you see in that mantra we have the vision: “I have been able to save and invest $100,000” and the how: “I am a money saving ninja”. Always start off the mantra with “I am so happy and grateful now that”. I am so happy and grateful now that I have $5,000 saved to go to Europe this summer. I am so happy and grateful now that I have saved and made enough extra money to pay off my debt this year. I am so happy and grateful now that large amounts of money come to me from various sources of income that I have been able to set up. Write it down multiple times a day. Say it out load in the morning when you wake up during your morning routine, and at night when you go to bed. Obviously it isn’t true yet but saying it in the present tense let’s the universe know to get the wheels turning on that goal! This isn’t a get out of jail free card. You still have to put in the work for your goals. The repetition of the mantra helps you keep that goal in the forefront of your mind. It keeps you in the mindset to keep working towards that future. Don’t just say it, do the opposite and wait for the universe to hand you stacks of cash. You have to put in the work. 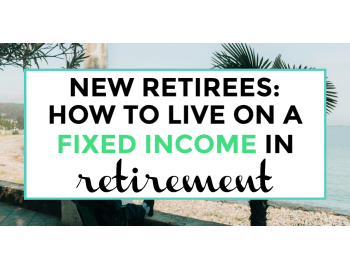 There are plenty of things you can do with your savings to make it work for you and your future. You can build an emergency fund, invest or add it to an existing travel fund. If you have debt, I urge you to apply a part of it towards that. Pay extra every month on your debt payments to ultimately become debt free. If your money is just sitting around in a savings account, it is just sitting there, doing nothing and not growing. You want your money to grow, and in order to do that you have to invest. Acorns invests your spare change for you, making your beginner investments almost effortless. Use “Roundups” and “Found Money’ along with many more features on the app for maximum investing power. Register for Acorns with this link and get a $5 bonus to start investing with! Stash consists of ETF’s for a minimum investment of $5. You automate your daily, weekly or monthly investment, track your retirement and tons more. Get $5 of Stash today with my link. I have recently started using M1 Finance and am really starting to love it. M1 Finance is 100% free with automatic rebalancing of your portfolio and tax minimization strategies. But my favorite feature on this app has to be their research section. What are some savings tips you have? Maybe a saving or money success story? Share with us in the comments! And share any wins you have with this challenge and tracker printable!